Internet savants predict that video will soon drive around 90% of all internet traffic next year. And much of this will flow through social media platforms like Facebook. Video helps marketing messages go further. But only if the planning, production and distribution are right for your business. Facebook has doubled down on video. They’ve changed the algorithm to prioritise organic videos over organic text posts and now there are more than eight billion daily video views on the social site. 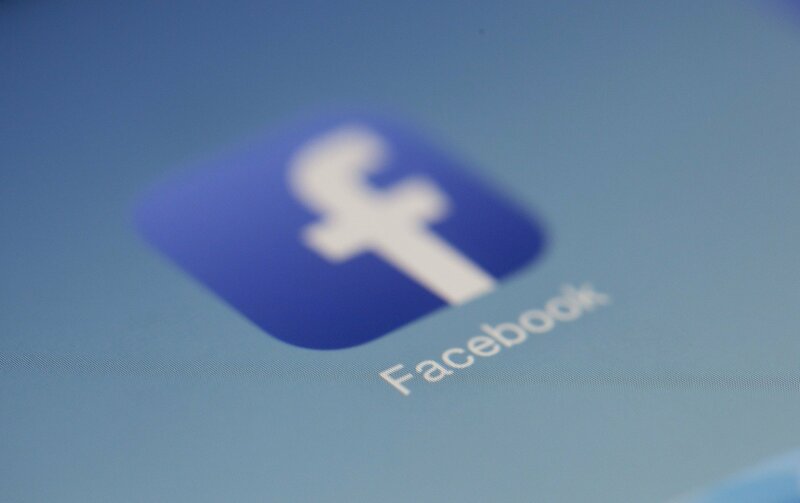 Facebook also note that video content drives higher engagement and interactions from users, compared to any other type of content. When it comes to video social media marketing, some marketers will tell you that they have the secret formula to make sure all your Facebook videos go viral. In reality, going viral takes a big measure of good luck. But there are some simple rules that you can follow to give yourself the best chance of reaching your target audience. Creating and publishing good content is essential for businesses these days. Valuable, relevant and consistent content helps you attract a clearly defined audience and gets people spending their money with you. Video can work, but only if it is worth watching. Otherwise you risk alienating your core demographic. The most viewed Facebook video of all time is a domestic organisation video from Blossom – a page targeting mothers and crafters. The record-breaking video shows seven ‘hacks’ to combat domestic clutter. Since it was uploaded in May last year, the video has been watched more than 430 million times. The hacks include a clever method for folding t-shirts and a simple underwear dispenser. Businesses can use similar instructional videos effectively. Whether it’s B2B or B2C, they can help solve problems for customers. Filming a video that solves a problem close to your target consumer’s heart is a great way to get them hooked on your brand. And make them more likely to buy from you in the future. Before we go any further it is worth mentioning that these videos are created by professional publishers and they have mass appeal. If you run a fencing company in Greater Manchester or a hospital in Chester, it’s going to be much harder to hit these numbers. Getting a clear idea of who your target market is and using a professional production company like Hyperfine Media can certainly help. By don’t expect blockbuster views straight away. Content that makes a viewer feel something is more likely to get shared on Facebook. Emotion is the powerful raw ingredient behind most successful ad campaigns. If you can tap into these emotions and bake them into your content you can encourage more shares and more eyes on your marketing. Research on advertising also shows that the emotional response to an ad impacts the customer’s intent to buy as much as the ad’s content. There are all sorts of emotions that ‘sell’ videos to people and prompt them to share. Another of the most viewed Facebook videos is this shop prank video for the movie Rings. Amassing almost 350 million views, the video is an emotional rollercoaster – surprising, funny and a little bit scary. You might guess that we are all big cinema fans at Hyperfine Media. And if decades of obsessive movie watching, analysing and decoding has taught us one thing, it is that love is the rawest and most deeply powerful emotion that there is. Research shows that the top emotional responses to the most viral images are of underlying love and happiness. In other words, if you want your video to go viral – make it a happy one. From the video watcher’s point of view, sharing a video that’s full of emotion might turn that estranged Facebook ‘friend’ into a warm and loving pal again in an instant. This baby video is incredibly cute. With more than 160M views, it is a heart-warming viral video that appeals to an innocent kind of baby humour. It also helps that the laughter is incredibly contagious. These kinds of videos really are heart-warming. But can businesses harness the power of love in their video marketing? It’s difficult. Businesses are things, not people. And so, their ability to love isn’t quite the same. But businesses are run by people, and people buy things from them. Businesses can play on these relationships, looking for personal stories and showing the company’s human face a little more. This touching video from an Asian life insurance provider is a real tear jerker that pulls on the heart strings. A video marketing strategy that focuses on appealing to consumers’ rawest and most personal emotions can change a nameless, faceless, soulless business into a brand that buyers relate to and care about. This can happen when businesses aren’t particularly compelling or have a product that is, for all intents and purposes, the same as all their competitors. Inspirational messages can also go viral on social media. Released as part of Nike’s controversial 30-year anniversary Just Do It campaign, the inspiration video traces Serena William’s journey from a 9-year-old kid to Grand Slam winning superstar. ‘It’s only crazy until you do it,’ ‘Just do it’ – reads the final screen before it fades to black. The campaign, which is fronted by American footballer Colin Kaepernick – the player who started the practice of kneeling during the national anthem – has drawn a lot of criticism in the US, including from Donald Trump, who called it a ‘terrible message’. But for all the negativity surrounding it, the campaign is built on solid inspirational foundations. Shortly after tweeting the photo that caused so much controversy, Kaepernick also tweeted this video showing athletes overcoming challenges and believing in their dreams. Your business doesn’t have to re-write the rules of social media video marketing like Nike. But think carefully about what you can do to compete for people’s attention in a crowded digital space. Emotion in video marketing can be powerful, but you need to make sure you do it right. It’s no good just putting up a whole bunch of happy looking images – you need to put some story to your emotionally-charged message as well. Introduce suspense into the story arc and take your viewers on an emotional rollercoaster – audiences will feel more compelled to keep watching if you do. Most of all, remember that positive emotions like happiness and awe elicit a more powerful response than negative emotions like fear and mockery. Look on the bright side. Today, businesses need to operate as both businesses and publishers. To do this, they need a firm grasp on who their target consumers are and what motivates them. People share online content for different reasons. Some share content because they find it useful and think their friends will too. Others are motivated to share good causes or campaigns. And some want to get friends’ opinion or get attention and start arguments. The most important thing that businesses can do is understand their audience and what makes them tick. Viral magazine publishers Vice are masters of this. They know that the bulk of their followers are young, they skew male, but more importantly, they know that they like to be deliberately controversial – and aren’t afraid of the odd conspiracy theory. All of that culminated in this entertaining video on Stevie Wonder. Business owners need to dig down into their customers and meet their needs with a compelling video. Have a clear picture of your target consumer in mind and ask, will they tag their friends in this, would they message it to someone. If in doubt, ask yourself ‘would I share this video’. If the answer is no then you probably don’t have a viral hit on your hands. If the answer is no, then you probably don’t have a viral video on your hands.